Nearly 14'' of width capacity and 13'' of resaw capacity make the Rikon 10-324 Bandsaw great for both delicate curves and resawing thick stock. 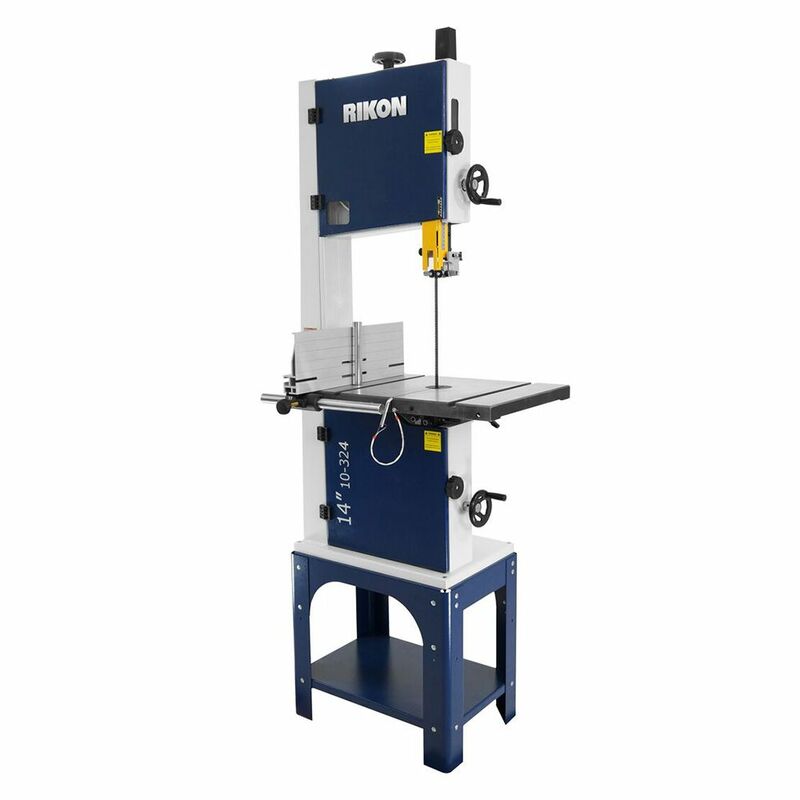 The Rikon 10-324 Open Stand Bandsaw features a host of conveniences, such as quick-release blade tension, a hinged blade guard with sight window and an onboard outlet for accessories such as lighting. 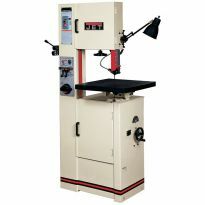 In addition, it boasts a large 13'' resaw capacity and two speeds to suit different cutting operations. 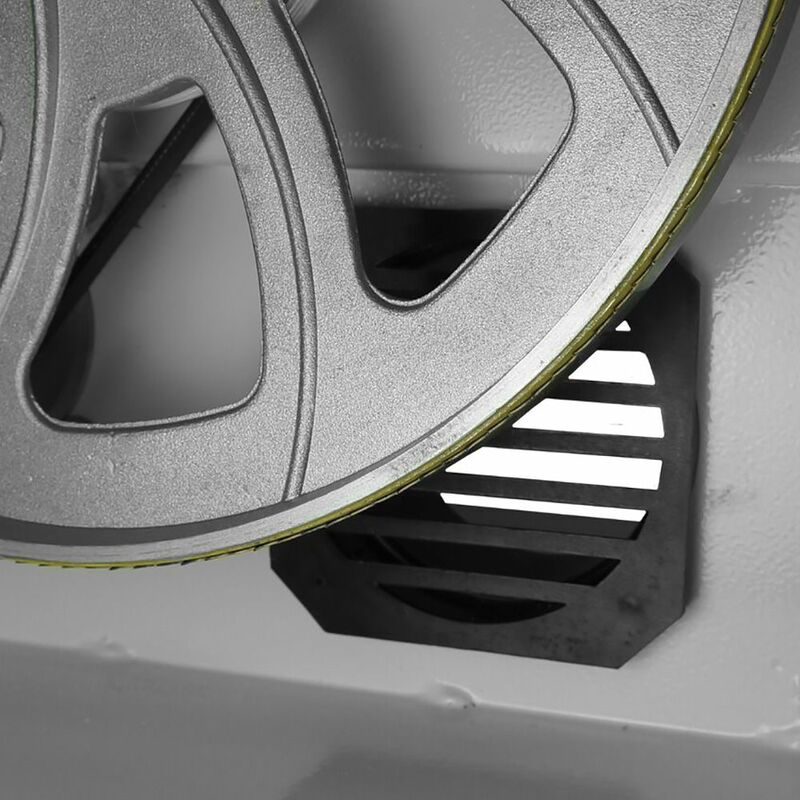 Precision guide bearings help to keep the blade cutting straight with minimal heat and noise. There is an additional $75 shipping charge for this item. Plenty of beef, good quality and price. I bought my first bandsaw used when I started my hobby woodshop. After a year, I realized the bandsaw was most useful for me resawing boards, and I needed to upgrade. 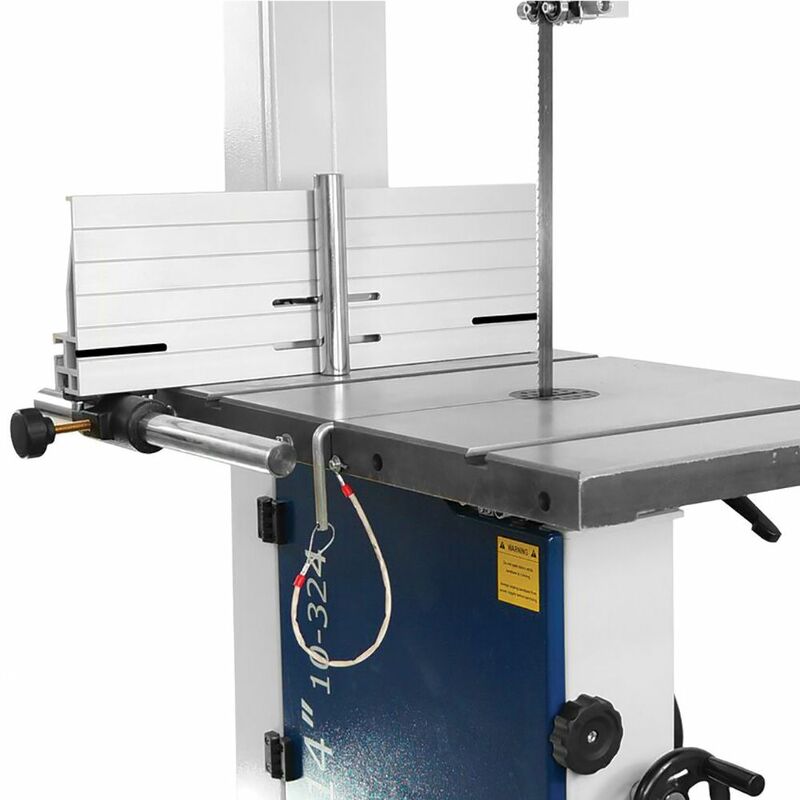 This saw consistently ranked towards the top among the midrange 14" bandsaws. 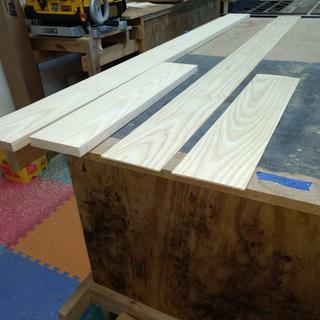 Last week I resawed 8 ash boards ranging in width from 6 to 9 inches and 4 to 6 feet in length. No problem! Now it is a lot quicker dimensioning my lumber from 5/4 to 3/4 and I have a whole bunch of veneer panels to use for everything from facing plywood to making curved furniture pieces. Very satisfied. Easy to resaw boards resulting in very nice veneers. Very happy with the service and the product. I have coupled it with two Carter accessories to make it a very important part of my tools. I am surprised that it did not come with a miter! Delivery was on time and very pleasant. Assembly and set-up was fairly simple. Instructions could have been better. There a re references to items by letter codes but no picture showing the corresponding code. Heavy Built saw, A lot better then Delta! Would highly Recommend it! Resawed a 24" long 8"x10" piece of virgin pine that I have had for years. Did the job perfectly. Cant be beat for the price. Plenty of power, well built. I love this saw it replaced a old 12 inch saw that could only resaw 5 3/4 inch. First job on saw was cutting a walnut log 12x16 to make a band saw box for granddaughter.I was impressed how it cut the log plenty of power.Box turned out great to so everyone is happy. Great took to have in the shop. Very satisfied with my purchase. I am pleased with both the re-sawing and contour cutting results so far. Just great. Very well built and extremely quiet. Would recommend it to anyone interested in a band saw. Wanted a bandsaw for a long time. Set up was easy assembling the stand and the minor assembly of the saw itself was easily accomplished. Works great and would recommend to others. Easy Set up and works great! The instructions were easy to read and follow. 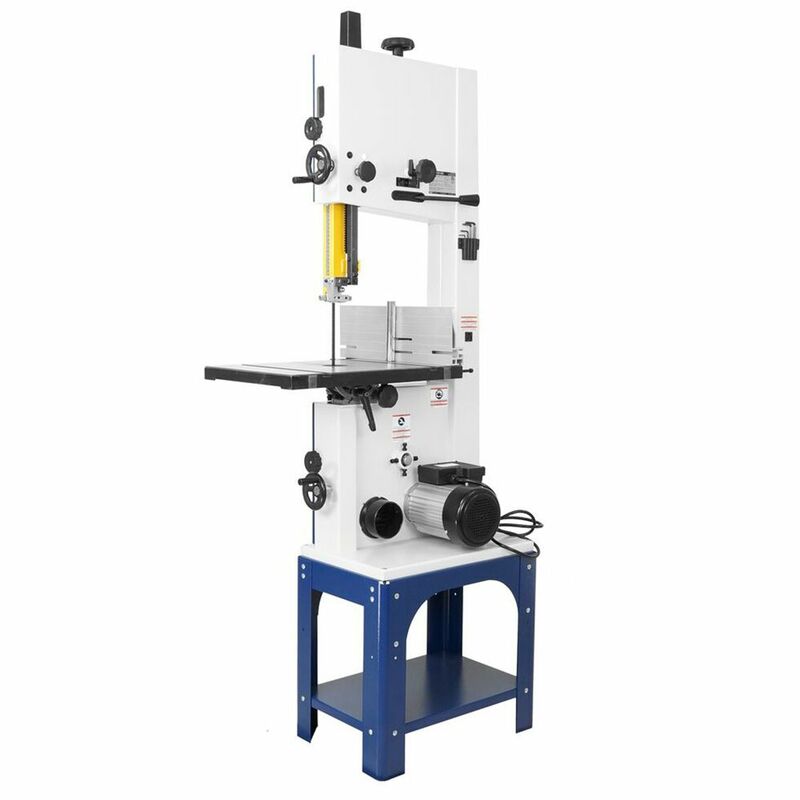 I conducted a lot of research trying to find the right bandsaw and this product had every function I was looking for. The product works great! I have not had much experience with a bandsaw, but what little I have used it so far I like the way it has performed. 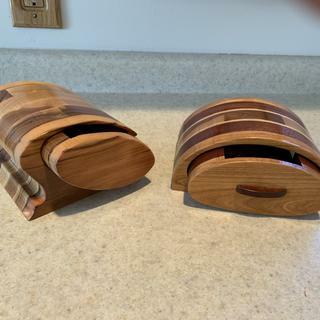 I plan on using it to make bandsaw boxes. I don't see any issues with it performing the way I want it to. Runs good, although I've only had it assembled and adjusted for a short time. Couple of things though: when I tried to flip the fence over for maximum table access, the rear corner of the fence interfered with the lower sheetmetal enclosure. Guess I'll have to hacksaw off this corner to allow it to store. I also found the rack had a lot of play in it. Since the upper blade guide bearings are mounted to it, I'm hoping it will hold the setting between to the blade. I purchased the 10-324 at the store in Salem, NH. 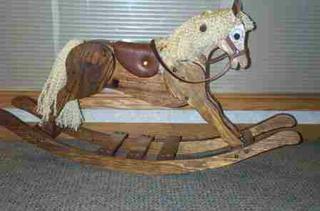 Be prepared when you have it delivered or bring it home with a dolly and another person. The saw is packed in heavy styrofoam and some thin boards to protect it in transit and is very heavy. Setting it up can be done alone but to be safe have another person to help you. 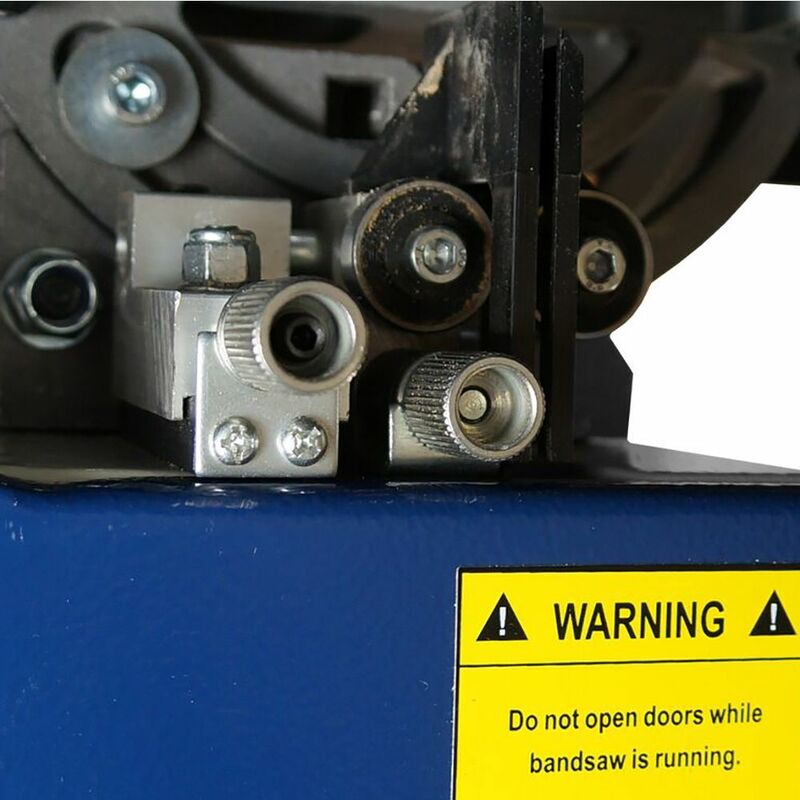 The directions are a fairly easy to follow but if you are new to adjusting a bandsaw you will want to take your time with it. Mine was missing a single stainless steel nut. Overall it's not difficult to put together. Operationally the saw is perfect and cuts flawlessly out of the box. My only complaint is there are a lot of adjustments and gauges that can be fairly overwhelming and the manual does not do a great job explaining them. One important factor is the blade length of 111" is not typically stocked at a Lowes or Home Depot. You will need to buy additional blades through Rockler or other online sources. All in all this is a great tool. However the powder coat had been messed up (I assume at the factory) and was repaired with spray paint. While it is a cosmetic fault I would rather not have spent the time complaining about it. Rockler did compensate me to my satisfaction so I'm still good with them. It seems to run well and the mechanical parts are solid. with the exception of the re-saw fence. 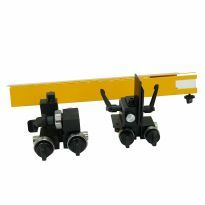 it does not have a way to square it up in the vertical dimension other that using shims. There was another post on this. Here again not a real big deal but I would rather see a better design for this part. I have not used it enough yet to give a comprehensive review but so far it is great. Seems to be very well built and easy to work with. Great design for the price. Big plus for 13” resaw capacity. Well made with good instructions. Gave 4 stars because aluminum fence was scratched up. Didn’t effect functionality but poor appearance for a new bandsaw. I’ve had the 10-324 for over a year. The fence is garbage. Youre making constant adjustments anytime you flip the fence. Sometimes I’ll adjust it and it goes out without changing the positioning or even adjusting the width of cut. When using the high fence I have to shim it up so the fence sits square to the bed. If not, I’ll be cutting wedges. 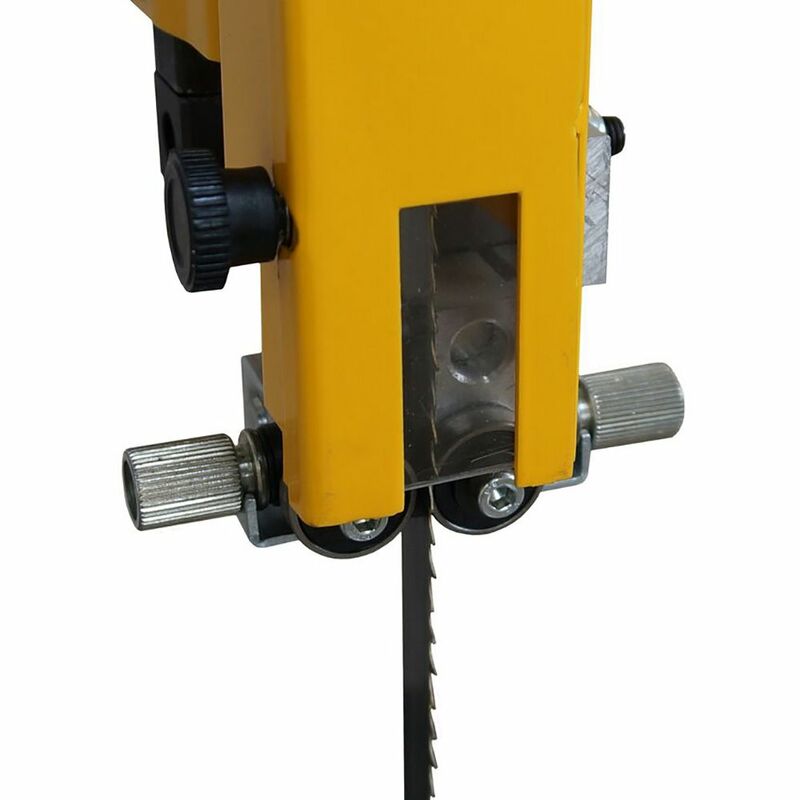 Re-saw capacity, a friend has this tool and likes it very much, I have 111” blades and price. Had all the features I wanted and has great reviews online. 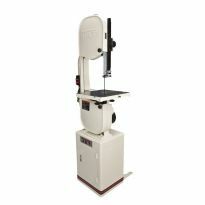 Because of the 13 inch re saw capacity and the positive reviews! 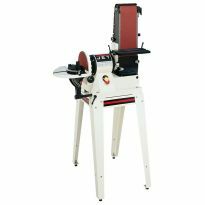 Overall reviews on Rockler and other sites as well as sale/price. 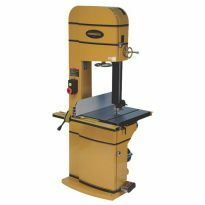 Great price for a saw with this power and resaw capacity. 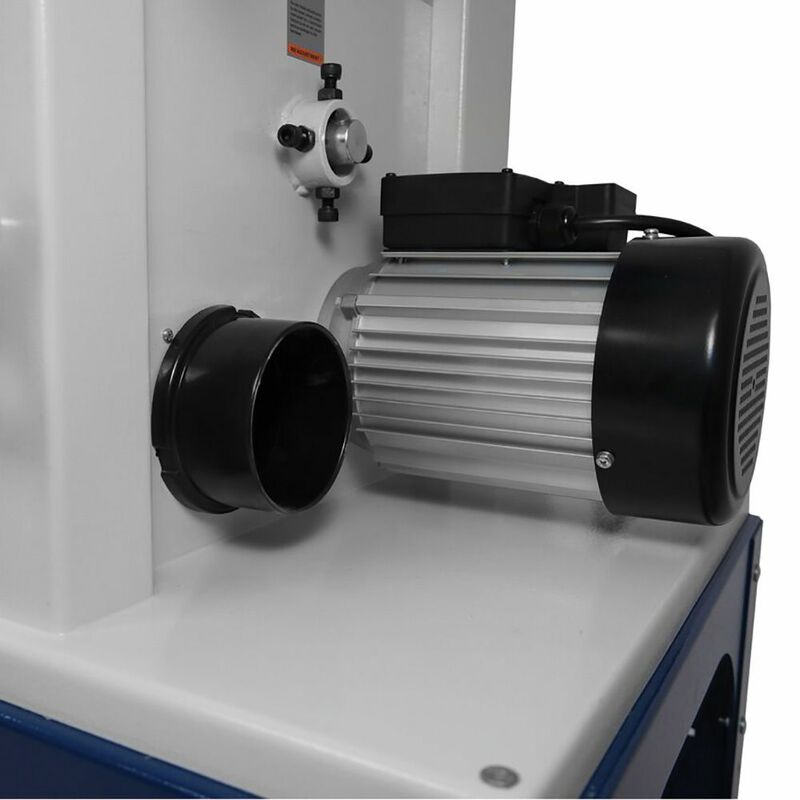 Re-saw capacity and value plus good reviews. Size, mainly the hieth of the cut. 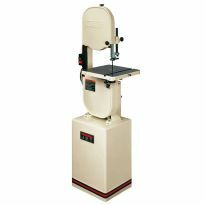 Compared to other 14" bandsaws, this one has better resaw height and horse power for the money. Great fit for my shop budget. More horsepower, better resaw capabilities, and a better fence than comparably priced saws I've been looking at. This was a gift for my husband. He was looking at the 10 inch saw but I thought was a better value. 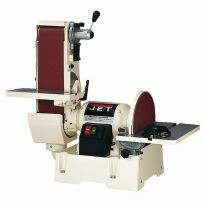 Good Reviews, good resaw capacity at a good price. Rikon bandsaws have a good reputation. 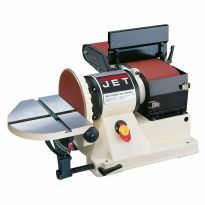 Best combination of resaw capacity and horsepower for the money. I've heard good things about Rikon bandsaws. Price, features and the positive reviews. The Price was right and for the resaw capacity. I read the reviews and they were mostly all positive. I'm hoping that it will be what I want it to be. 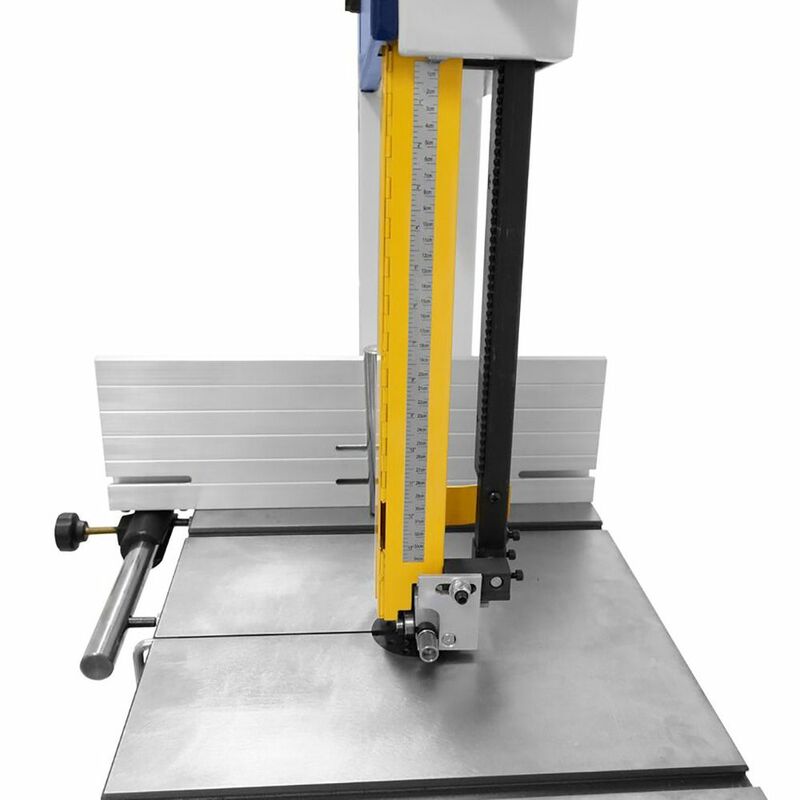 chose because of the resaw height. it had good reviews and seems like a good value. Good price. Needed one. Have had excellent previous experience with Rockler. The resaw capability and horse power are much better than the other bandsaw I was considering buying. More value for the money. I needed a bandsaw with at least 11.5-inches of depth of cut; and this was an excellent price. 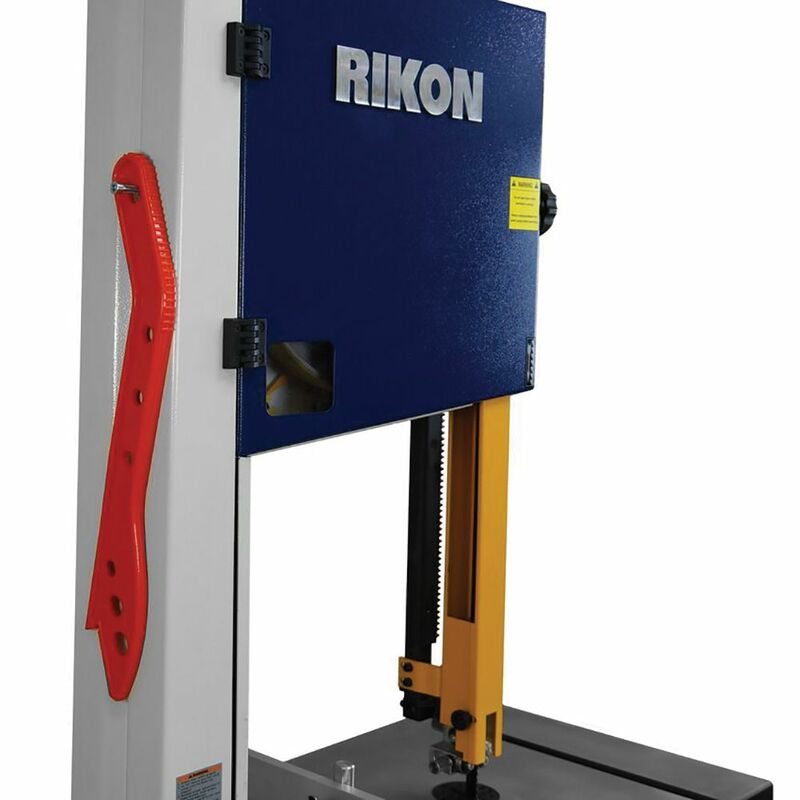 Your general ad for the Rikon 10-324 Band Saw shows this machine will accommodate a 3/4-inch blade. But the blade purchase choices only go to 5/8-inch. What's the deal? ARE WHEELS ALUMINUM OR CAST IRON ??? THANKS ! WALT IN VERMONT. I want casters for all of my shop machines. Can casters be added to this band saw? 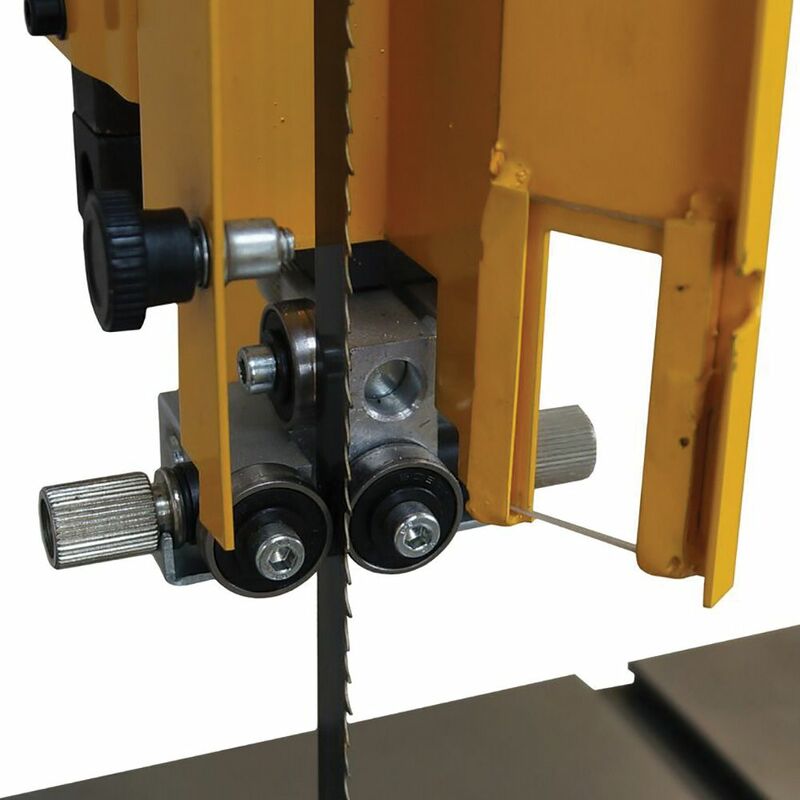 What is the maximum vertical cut on this saw? BEST ANSWER: 13 inches. See above. I just bought this Rikon 10-324 saw and I'm not getting very good results on resaw with the stock 5/8" blade. Blade immediately wants to drift. I've properly set the guide bearings and leveled the table. What gives? Is anyone really getting good results on a 13" resaw? BEST ANSWER: I’ve never done a Resaw on 12 inches. I usually Resaw approximately 6-7 inches and use a 3/4 inch blade. I would suggest you rip the 12 inches board in half but before you do that I would try a 3/4 in blade. It cuts a lot a lot straighter. Usually a 3 to 4 teeth / inch. Is there a metal cutting blade available for this saw? 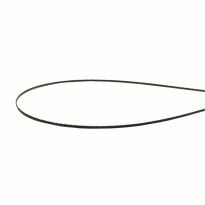 BEST ANSWER: I have found great success with buying a varied sizes of bandsaw blades from grainger(dot)com They list many lengths, widths, and variable uses too. I would check there to see if they have what you need/want. It seems to me that they also are able to custom make blades too, although they may end up to be rather pricey. Regardless, if they don't have the wherewithal to complete your needs then I am confident that they would be able to offer a great referral on where to try next for your satisfaction. Good Luck!!! I'm sure you can find one there are a number of companies that make custom blades but the blade speed is wrong for metal cutting. What is the horsepower? There are no specs. Is this a single phase or 3 phase? BEST ANSWER: It is single phase. I'm running on 120 vac, but most single phase motors can be run on 230 with a wiring configuration change. 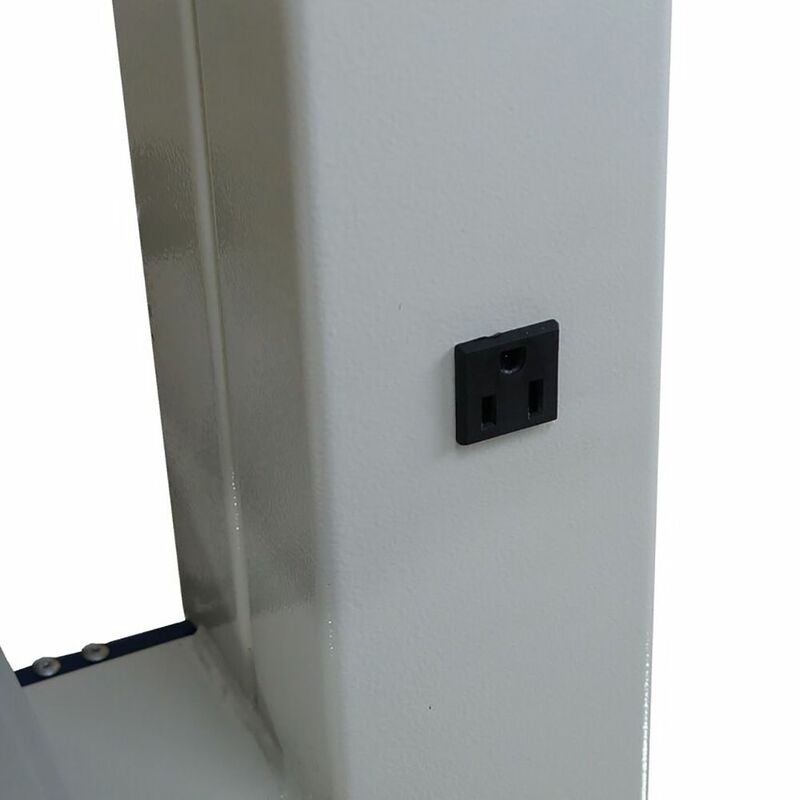 But it has adequate power on 120v. 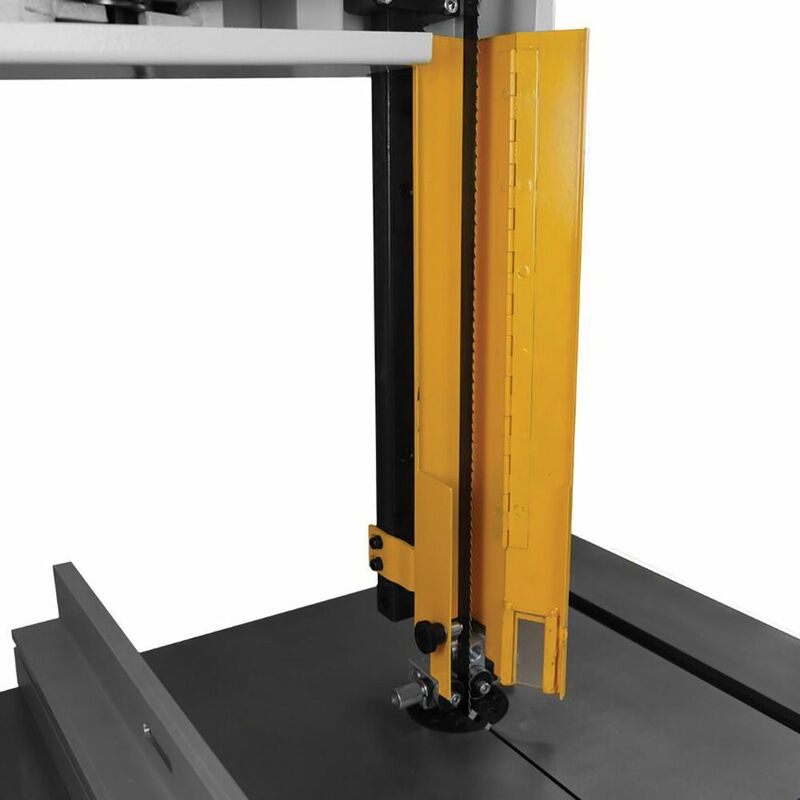 Can anyone comment on how solid/accurate the table tilt mechanism is? 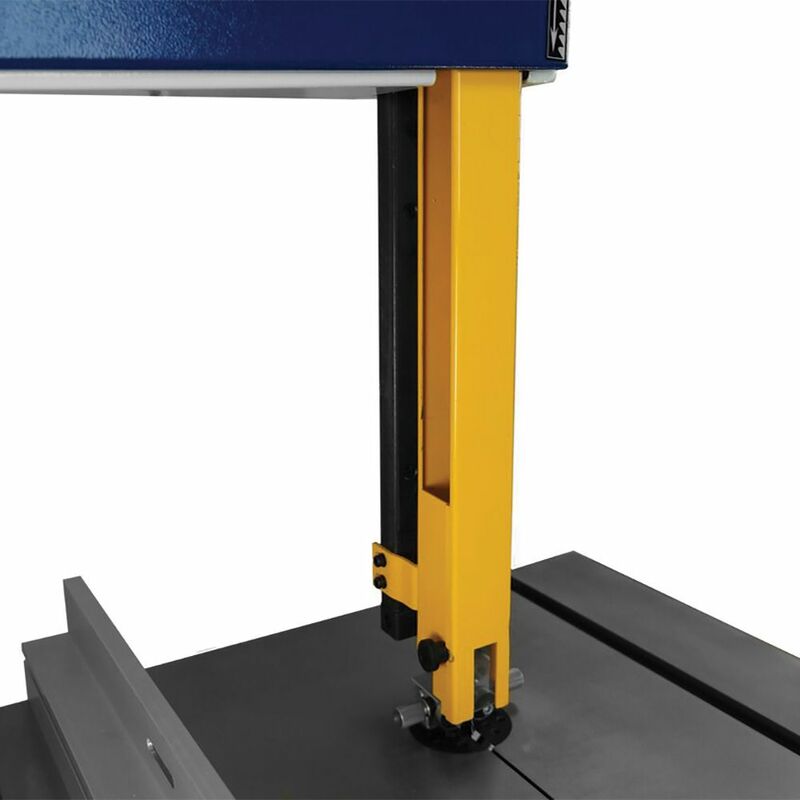 BEST ANSWER: The table uses a geared adjustment to move the table. The table lock is strong and locks the table very securely. The angle scale is accurate with an adjustable pointer. 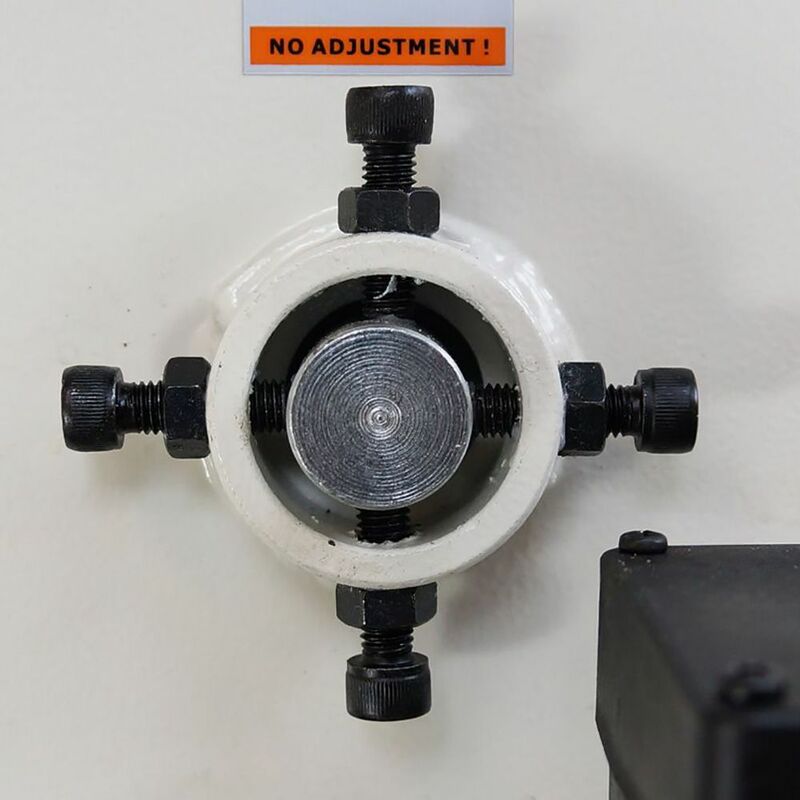 There is an adjustable stop for the 90 degree position. The table tilt mechanism is both solid and after calibration, accurate. I have not used the table tilted to a specific degree however the mechanism to lock it down seem solid. I have been using it at 90 degrees only and even with a heavy log it stayed in place. Sorry have not used tilt. For me a bandsaw is not the best for angular cuts. Is there an American Made option on the market? 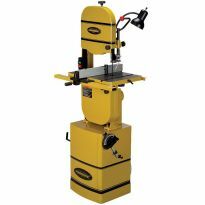 BEST ANSWER: Powermatic would be the only brand that is designed and manufactured in the USA. All others currently are manufactured overseas or in Mexico/Canada. 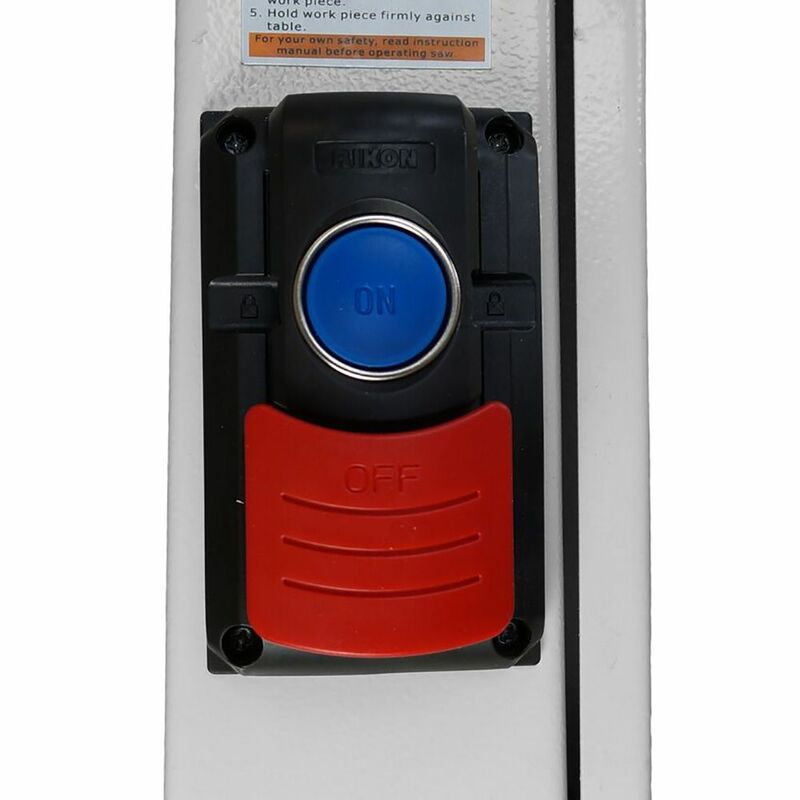 BEST ANSWER: Yes through Rockler which has generic one or through Ricon direct. How tall is this saw without the stand? Does this saw come pre-wired for 110 v? Or do you order what you need? Can this saw be wired to run on 220?